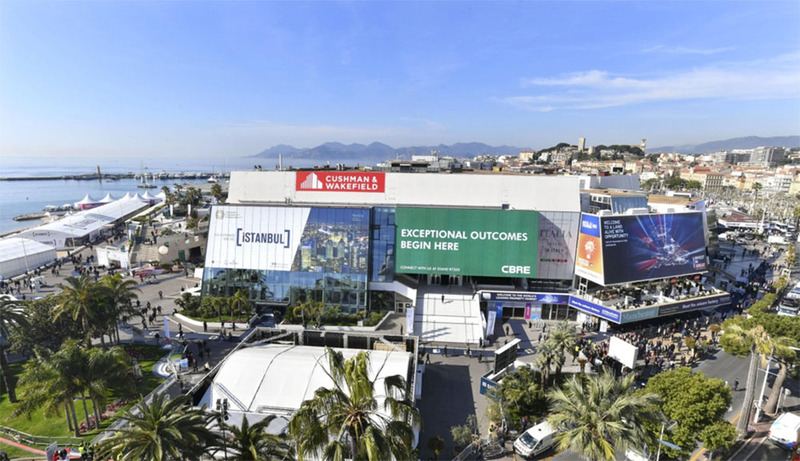 Established in 1990, MIPIM is the largest and most influential international property exhibition bringing together the most important players from all segments of the international property market. Held in Cannes, this year it comprised over 24,000 participants, 3,000 exhibiting companies and a number of keynote conferences. 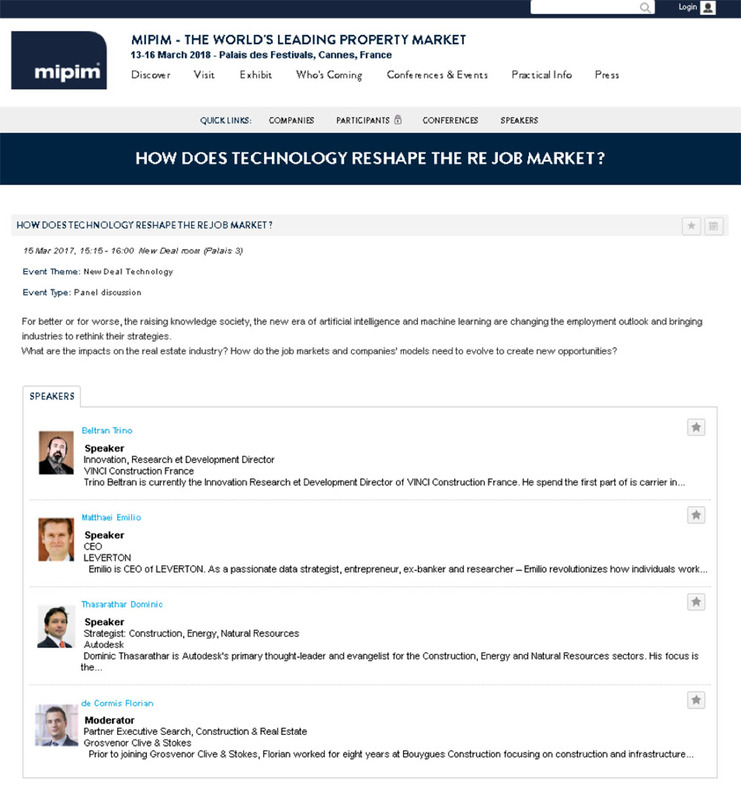 Florian de Cormis, Partner at Grosvenor Clive & Stokes, chaired a conference at the MIPIM on ‘The impact of new technologies on the Real Estate job market’. Speakers included Trino Beltran, R&D and Innovation Director – VINCI Construction France, Emilio Matthaei, CEO – Leverton and Dominic Thasarathar, Strategist: Construction, Energy and Natural Resources – Autodesk. The broad ranging topics discussed included: Technological transformation; Risk & Opportunities associated with the workforce; New Technologies: Big Data, Robotics, and Automation.